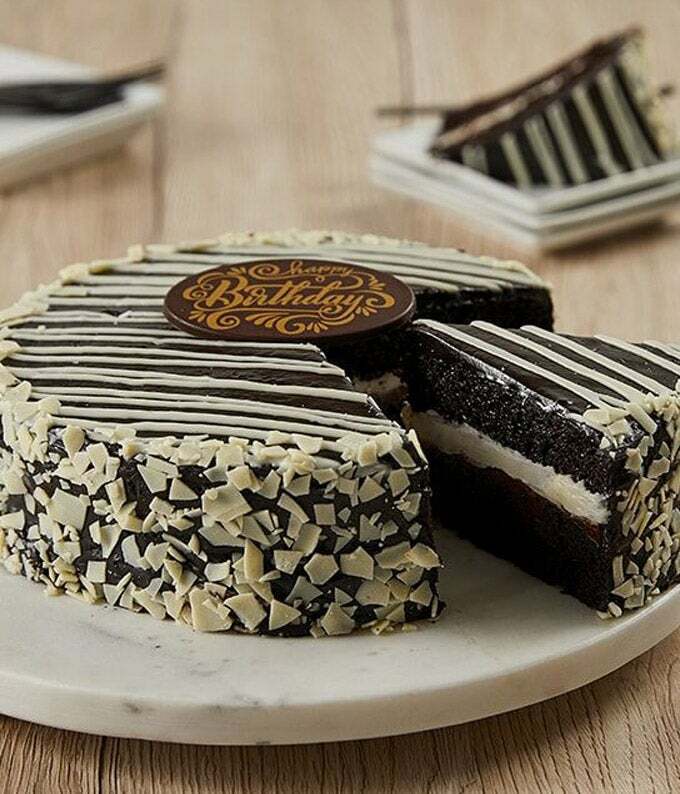 The Delectable Dessert cake brings some seriously delicious flavor to the table! This cake features two layers of chocolate cake, filled with a mixture of whipped buttercream and chocolate cream. When you thought it couldn't get any better, this cake is coated in a thick layer of dark chocolate fudge frosting! And to top it all off -- it is thoughtfully and generously embellished with white chocolate drizzles and shavings. Yum! This gift is available for delivery Wednesday - Saturday and shipped via UPS/FedEx. Gift delivery is available in the USA.